All about the games and ebooks starring the disastrous captain! We... what's with all these sisters recently?!?!? 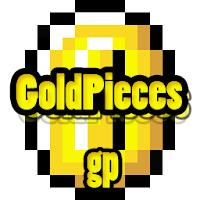 Check out the GoldPieces Website for more information. It's already being used as an in-game currency in MMORPG Dragon Knights of Valeria. Firstly, apologies for the lack of posts here. Real life has taken its toll and left TheBitPriest and I less time than we would like to work on the game; however, we have made a lot of progress towards getting Act III finished, we're probably about half-way there. It's pretty much just the big climax to do now. Then we'll be going back through the whole game and polishing things up, letting the testers have a go at breaking it, and finally when all's looking good adding the voice acting. I plan to have another update with some Act III screenshots up soon. Last time I played Act III it was a great experience (partly because TBP had added in some extra bits that I didn't even know about, and they really added to the game :-D), I'm really looking forward to having the game soon that can be completed from start to finish. Dark Side finally gets an "official" rating on the AGS boards! Want a disaster for under three dollars? Less than 24 hours to go! Sale starts in 3 days!